International Truck launched the International HV Series at the inaugural North American Commercial Vehicle Show. HV Series is the first severe service truck available with the International A26 12.4L big bore engine and designed to deliver power, refined driver-features, and impressive reliability for a range of vocational applications. "The new International HV Series is just one more truck in our product line-up that puts drivers first and meets the grueling demands of vocational applications," said Michael Cancelliere, president, Truck and Parts. "The HV Series is a smart solution for our customers in the business of doing serious work and is a new breed of vocational truck that redefines the standard for uptime and productivity. It is the go-to truck for those who know that it's not just about getting the job done, it is about getting it done right." Redesigned from the inside out, the HV Series interior was crafted with driver and body company feedback to ensure the most comfortable and productive environment possible, while the exterior continues with powerful styling. The HV Series also features the intelligence of the industry-leading Diamond Logic electrical system for the automation of tasks and interlocks to help protect both equipment and crew. The truck offers customers an incredibly versatile foundation for any configuration necessary to be productive at any job and includes power options like the International A26, an engine designed with uptime in its DNA. "Customers and Truck Equipment Manufacturers (TEMs) have given us feedback during the design process and, as a result, we have made the highly versatile, rugged and reliable HV Series easy to integrate body solutions seamlessly," said Denny Mooney, senior vice president, Global Product Development. "We've been building vocational trucks for over a century and in the HV Series our engineers have successfully incorporated driver feedback into a severe service truck designed to be easily configurable for any application." The new HV Series is another signal to the industry that International Truck is focused on uptime and delivering the best trucks in the industry that drivers want to drive. Heavy duty, double-sided galvanized steel cab for long-term durability. Huck bolt chassis fasteners provide superior clamping force and will not come loose even in extreme environments. Also available with a clean Cab-to-Axle (CA) configuration to minimize costly post-production modifications. 20,000 lb. off-set bowl front drive axle allows for a lower ride height than a traditional centre bowl. Super Single ½" thick fame rail rated up to 3.35M RBM. Integral 20" and 27" frame extensions (not bolt-on) for superior strength and reliability. Available stainless-steel oil pan for reduced corrosion in highly corrosive applications. New industry-standard J1939 electrical system architecture and improved harnessing to maximize uptime. All new best-in-class HVAC system, designed for reliability, now includes a high-performance MAX defrost feature. The HV Series is powered by the International A26, a 12.4L engine, designed to provide industry-leading uptime, greater fuel efficiency, and quieter operation. Built from the proven MAN D26 engine crankcase, the A26 produces up to 475 horsepower and 1,700 lb.-ft. of torque from a design that is 600-700 lbs. lighter than a traditional 15L big bore engine. The A26 is also backed by the industry's best warranty and is the first engine to meet the B10 standard that requires 90% of delivered engines to travel 1,200,000 miles before a major repair. HV Series is also available with the Cummins® B6.7 and Cummins L9 engines. The HV Series was engineered to make it easier to get maintenance and get back on the road fast. And when service is needed, count on an International dealer with expert technicians and an extensive parts inventory wherever a driver may be throughout North America. Every HV Series can be equipped as an option with OnCommand Connection, the company's leading-edge remote diagnostics system and Over-the-air (OTA) programming. OTA, available through the nine-pin International LINK device, enables drivers or fleet managers to utilize a mobile interface to initiate authorized engine programming at the customer's facility over a safe, secure Wi-Fi Connection. The service offers drivers and fleets an easy, secure means of updating engine control modules to reflect the latest manufacturer-approved calibrations, without the necessity of visiting a dealer or other service facility. The International HV Series provides the ideal foundation for an almost unlimited number of applications. Customers can order the specific chassis configuration needed for any application upfront which substantially reduces the time and expense involved to up fit the vehicle in post-production. To further improve driver productivity and safety, the HV Series features the best-in-class Diamond Logic, an advanced electrical system that streamlines chassis and body equipment integration and allows customers to program automated tasks. "Our Diamond Logic electrical system is best known for its ability to provide control and communication between work trucks and body equipment," said Mark Stasell, vice president, Vocational Truck Business. "We are a pioneer in custom programmable chassis electronics and multiplexing and we continue to partner with end users and body builders to further increase productivity and make it easy to integrate with our system." Equipped with the Diamond Logic electrical system, the HV Series will get the job done with both safety and precision by offering vocational customers nearly 200 factory available body integration and driver efficiency features, plus the ability to customize infinitely more vehicle functions. "In many ways we've designed the new HV Series from the inside out based on our DriverFirst philosophy," said Stasell. "Based on customer feedback during the planning and design process, our engineers succeeded in making the HV Series one of the most comfortable, reliable and safe vehicles to operate in any work environment and in any climate." Redesigned cab doors with a lower bottom glass edge and removed the vent window giving the driver a single large piece of glass to look through, greatly improving side visibility and reducing blind spots. By reshaping the doors and side glass, the position of the optional pedestal mirrors was optimized so drivers turn their heads 15% less on the left side and 5% less on the passenger side, making it easier to keep their eyes on the road while reducing neck strain over the long haul. An all-new dash designed for the driver with more space for additional rocker switches. An available premium gauge cluster designed with driver input that is customizable with virtual gauges. An easy-access column-mounted stalk shifter integrated with engine braking to help keep hands on the wheel and eyes on the road. Introduced the 'wing panel' dash' tailored for the vocational truck and driver. The new stalk shifter placement and the lower instrument panel design greatly improve leg room for the driver, especially at the knee. An additional vent has been added to help keep the middle front passenger comfortable. The dash contains space for up to 30 customizable switches ensuring functionality of any type of body that is mounted on the back. Switches offer large easy to read text and recognizable ISO symbols and are back lit for easy viewing at night and offer seven unique colour options for the indicator lights. For complex body applications like ambulance, fire or high-railers, the multi-colour lights allow for a higher level of customization and functionality. A new fuse panel is much easier to service with no exposed wires. The panel has a new spill proof design allowing liquids to flow into a gutter around the panel and drain to the outside of the vehicle without damaging any electronics. With an inside wheel cut of up to 50 degrees, the HV Series can easily navigate tight city streets or construction sites, saving driver time, reducing work-site collisions and boosting productivity. The HV Series is available in a variety of specifications: Regular Cab, Extended Cab, and Crew Cab. The company is taking orders today and market availability is March 2018. 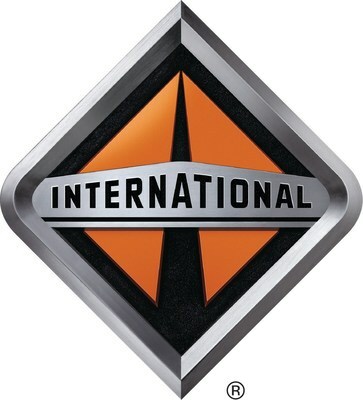 For more information visit https://www.internationaltrucks.com/HVSeries.